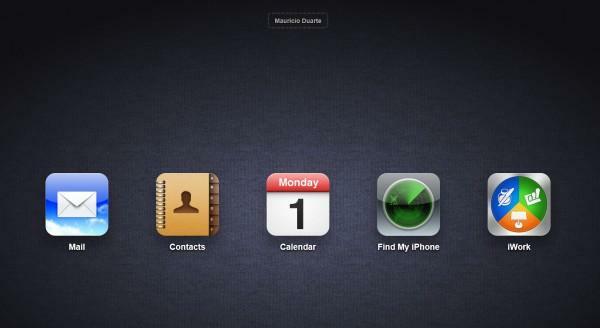 Apple has posted a not yet fully functional login page for its new iCloud service, representing a revamped version of its existing Mail, Contacts, Calendar and Find My iPhone MobileMe apps as well as newly integrating the document sharing features of iWork.com. 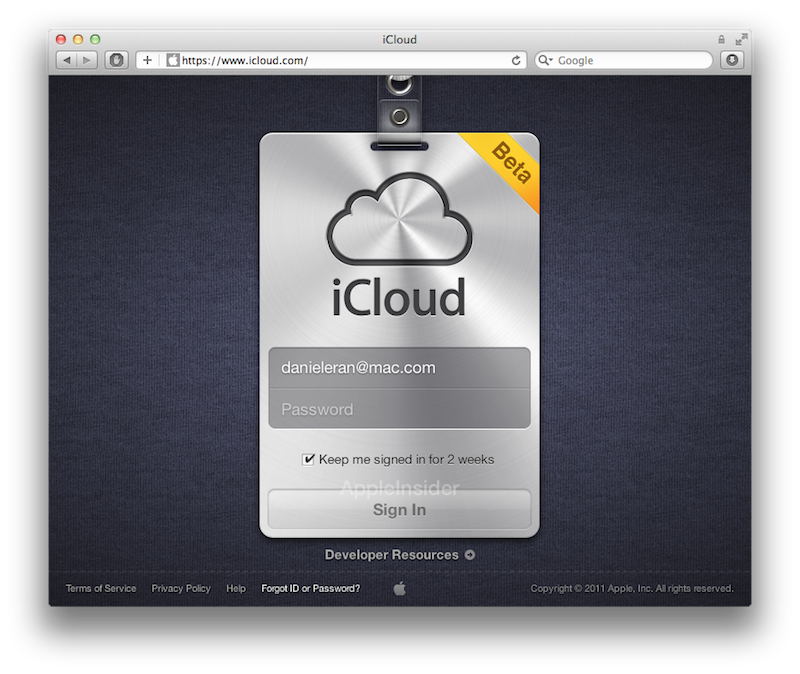 The new iCloud login page, which appears as an Apple Store-like name tag on a lanyard, enables some users to log into functional apps. 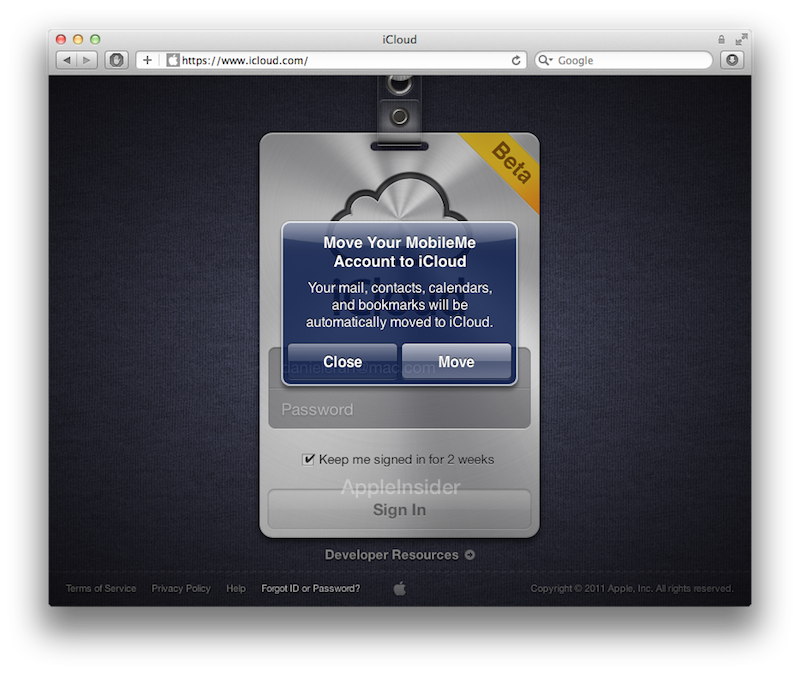 Other users are presented with an iOS-style popup asking them to migrate their data from MobileMe to iCloud, a feature which isn't yet working. 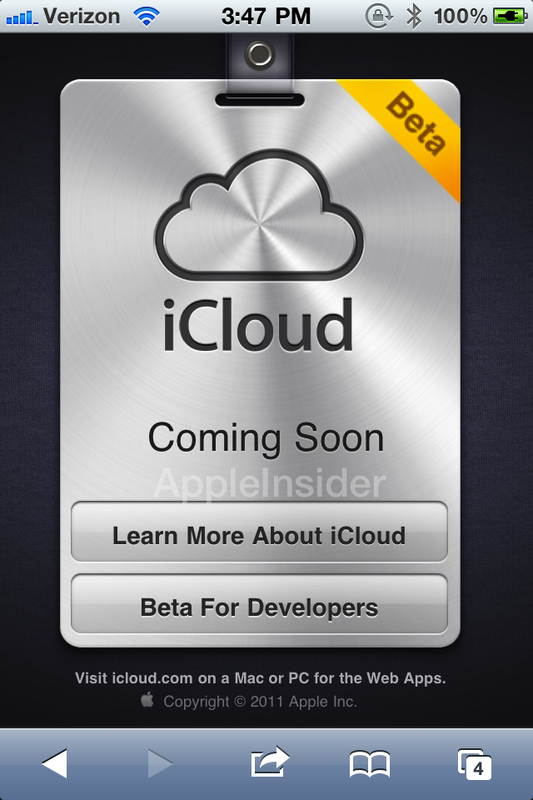 The iCloud login page is also available from mobile devices (below), suggesting that Apple will finally make its web-based apps accessible from iOS devices. MobileMe web apps are currently blocked from iOS mobile users, apparently because Apple's mobile browser does not support the "real web" well enough to work acceptably with them. This prevents iOS users from accessing a secondary account. Android and other mobile users are similarly blocked from accessing MobileMe, and get the same "download the iOS native apps" message iOS users get, despite there being no MobileMe native apps that Android or other mobile users can install. 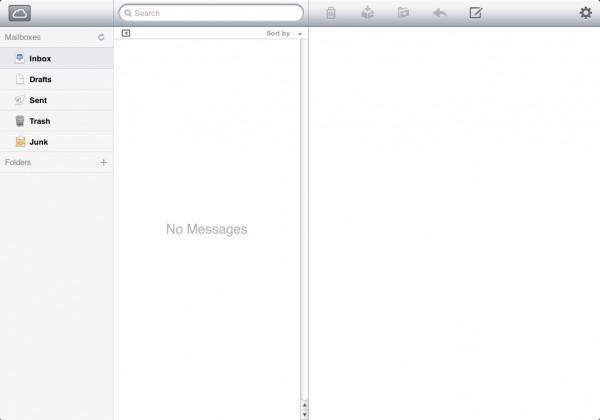 The first user to report successfully logging into the new service, Rafael Fischmann of the Brazilian MacMagazine blog, presented screen shots of the new Mail, Calendar and Contacts apps, all of which have adopted a new iPad-like appearance. 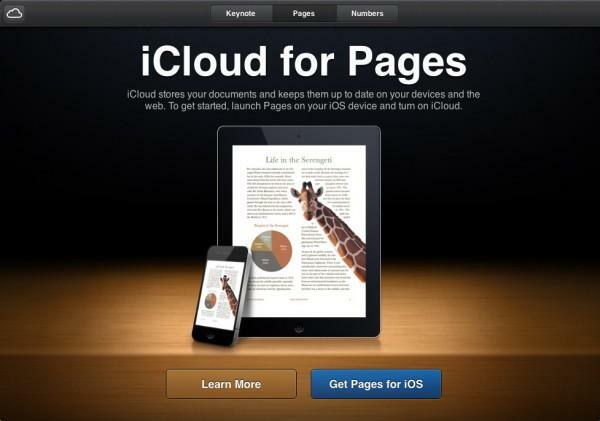 The new service also includes iCloud for Keynote, Pages and Numbers, which "stores your documents and keeps them up to date on your devices and the web." This new service goes above and beyond the former iWork.com, which simply enabled users to share documents over the web to other users, with a web app client that enabled others to view and comment on documents even without owning iWork. 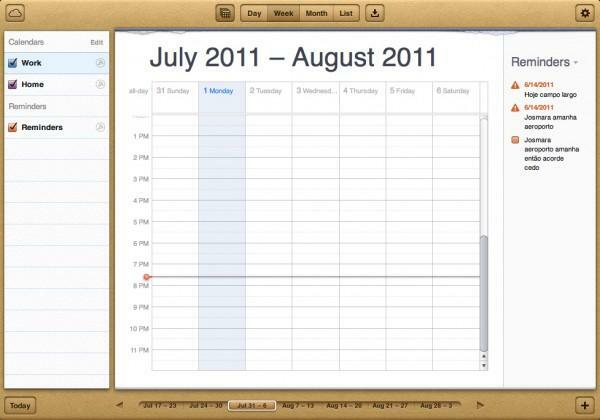 The new iCloud for iWork apps incorporates "iCloud for Documents," a new storage and sync feature that third party developers can incorporate in their own apps to allow their users to keep documents in sync across the users various devices, updating changes made on one machine across every other instance of that file, automatically. The first 5GB of documents users store within iCloud will be free, while Apple appears set to make 10, 20 and 50GB options available annually for $20, $40, or $100, respectively. 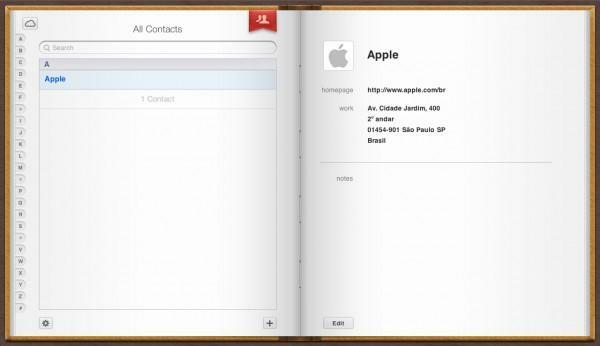 Missing in the transition from MobileMe to iCloud is the Gallery and iDisk web apps, which are largely replaced by similar functionality offered by iCloud's Photo Stream and Documents features.